So last month, I got an invite from Spanish brand Pronovias. It’s only THE fashion leader in the bridal industry. I always see it whenever I go around Europe and ogle at all the pretty dresses displayed. So imagine my delight when they told me they wanted to fly me in to Barcelona for a special brunch, fashion show and after party. BIG FAT YES! Goodbye to Labor Day weekend in Boracay, hello Barcelona! Last year, Pronovias had a special collection by Elie Saab. I wonder if they have any collaborations in store again this year. I can not be more ecstatic to see the new collection!!! This time, up close! Unbelievable close! They sent me these videos from last year to give me an idea on what to expect for the activities lined up for us bloggers. I really hope I get to see the workroom too! Look at the workmanship! The designer in me is getting too excited! 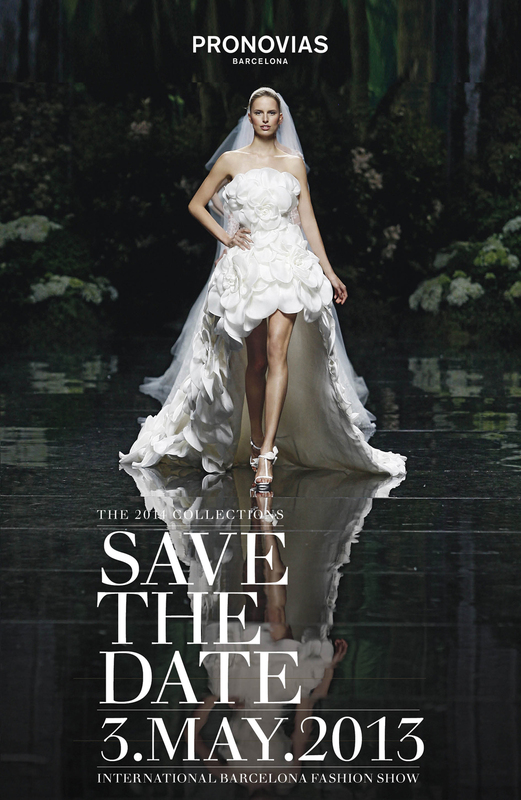 To my bride-to-be readers, if you like what you saw in the video above featuring Pronovias 2013 collection, you’ll love this year’s even more! And because I love you all, I’m happy to announce that I’ll be posting a live stream of the fashion show here on my blog. It’ll be on May 3, 8:30 P.M. (GMT +2) Barcelona time so that’s May 4, 2:30 A.M. (GMT +8) Manila time, and May 3, 2:30 PM New York (for your reference). Tune in guys! Oooh and ahhhh with me at all the pretty gowns! After Barcelona, I’m making a quick trip to Florence, Italy so if you have any hidden gems you want to recommend for to check out, let me know! I’m flying out to Barcelona in a few hours. Gracias Ms. Camille! Last part is soooo kilig! Wow, it’s huge! Congrats Miss Cams. :) I’m so happy for you. Congrats, this is so exciting! I spy Carolina and Andy in the video – 2 of my favourite bloggers, and you of course! :D have fun! Congrats Ms. Camille! You are an undeniable international blogger! Conquer the woooorldddddd! ILYSM! Is your trip sponsored, they paid for your tickets?? So jeaaaloooous!! Wow! Good luck to your trip. Be safe always. You deserve the invite. Enjoy the event and come back with fresh ideas. I am so excited for you Camille! You are so blessed! I wish I were you. Always count ur blessings! God bless you and have a great trip there! Ps. Saw ur Instagram post on Qatar air. Definitely awesome! I’m so happy to be your fan…… Anyways, my friend and I love you. Ahahahah. Good luck in Barcelona. Congratulations Ms.Camille! Wow what a great opportunity! I couldn’t be more jealous of you already..Hoping to get you soon as my designer for my future wedding gown :D God bless you there Ms.Camille. Keep inspiring us! OM. You’ll get to meet Andy and Carolina!! I don’t know if they’re still part of the program this year but if they are, that would be great!/ I’ll be staring at them from afar haha! Wow! Ikaw na talaga next in line kanila Bryanboy at Bag Hag Diaries! World renowned Filipino fashion bloggers! Sana in the near future para ka na ding sila Susie Bubble at Alexa Chung! Fumofront row na sa mga fashion show ng Chanel, LV, and others! Parang ang hirap marating nyan! Haha! So far so good! :) Thanks Anaivilo! Really? All the more reason to watch the live stream! I could imagine your blog post about that trip to be like – the little kid inside me was thrilled; or something that has “littile girl/kid”. Hahaha! Hey! I’m from around Barcelona (not Barcelona itself), but I’ve been to Barcelona many times. I actually lived there for 5 years when I was a child. There’s plenty of beautiful things to see. First of all, there’s the Sagrada Familia (I’m sure you’ve heard of it). It was Antoni Gaudí’s unfinished cathedral. It’s beautiful! I’ve been to it twice, and the beauty remains unchanged. Part of it is under construction, but you can visit the finished part. Another thing you should also see is Parc Güell. This is also one of Gaudí’s architectural wonders. It’s amazing! There’s many other Gaudí constructions around the city but these are the best ones. The Rambla is also wonderful. It’s lined up with street entertainers, and most of the buildings there are very old, they’re back from the Spanish Civil War! Some of the buildings still have bullet marks, if you look closely, for example Hotel Ramblas. I hope you liked my recommendations! Oh, by the way, I think you already know, but still, 1st of May is Labour Day im Spain. Bye! Hindi naman! Baka maghirap ako!